Entrance to the Threshold Bridge at the Healing Nature Trail. In Japan, part of their national health program is called Shinrin-yoku, which is loosely translated as “forest bathing.” The idea behind it is that forests are the original antidote to stress and stress-related illness. Researchers claim that forest bathing can actually lower your blood pressure, blood glucose levels, and some stress hormones. Locally, a new nonprofit organization has sprung up in the Three Lakes area that is trying to accomplish the same thing for the Northwoods. It’s called the Healing Nature Center, and it’s a sister organization to the Teaching Drum Outdoor School in Three Lakes. Center Director Tamarack Song says they’re opening up their Healing Nature Trail on Saturday, July 7th. "We are opening a trail that is specifically dedicated to people who would like to reconnect with nature, people who like walking meditation," Song says. "The primary use of the trail is going to be for therapists to bring their clients out." Forest bathing is a practice that is especially useful for city dwellers who don’t have access to green spaces. Here in the Northwoods, there is plenty of forest to go around, but Song says there are a couple of things that set the Healing Nature Trail apart from your average walk in the woods. 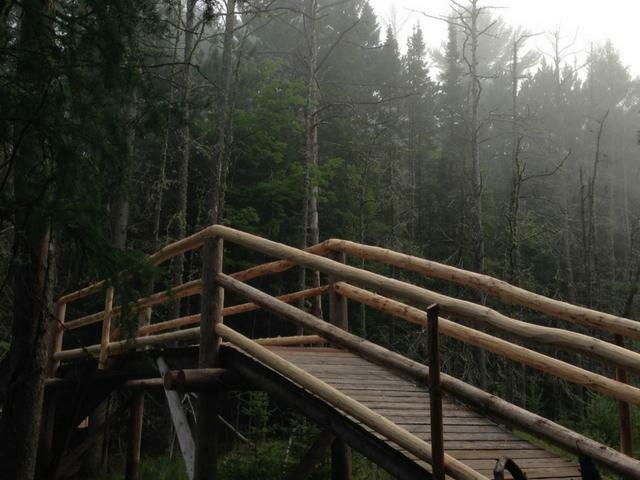 "The trail is designed to specifically accentuate the healing energies of nature," he says. "It has a labyrinth at the gateway to the trail, there is a zen sand garden, and we have an aquatic labyrinth, which is a labyrinth you can paddle." Song says another thing that makes the trail special is its privacy. While the trail is open to the public by donation, you have to make an appointment to stop by and they only take a maximum of 10 people at a time. NPR reports that a study published in 2011 compared the effects of walking in the city to taking a forest walk. Researchers found that even though both activities required the same amount of physical activity, the forest environment led to more significant reductions in blood pressure and certain stress hormones. Healing Nature Center is currently in the midst of creating relationships with therapists in the area, both medical doctors and mental health therapists, but they say the trail will remain open to everyone.